Unfortunately these days most subcompact SUVs are little more than lifted cars with the pretense of off-road performance thrown in at the behest of the marketing department. Not the Renegade however. Like the name suggests, the 2018 Renegade goes its own path, and stays true to its Jeep heritage by offering a best-in-class 4X4 system, along with proper towing capacity, and even the ability to ford up to 19 inches of water! But like all true Jeep’s, the new Renegade isn’t just some off-road monster, it’s also designed to conquer the urban jungle as well. 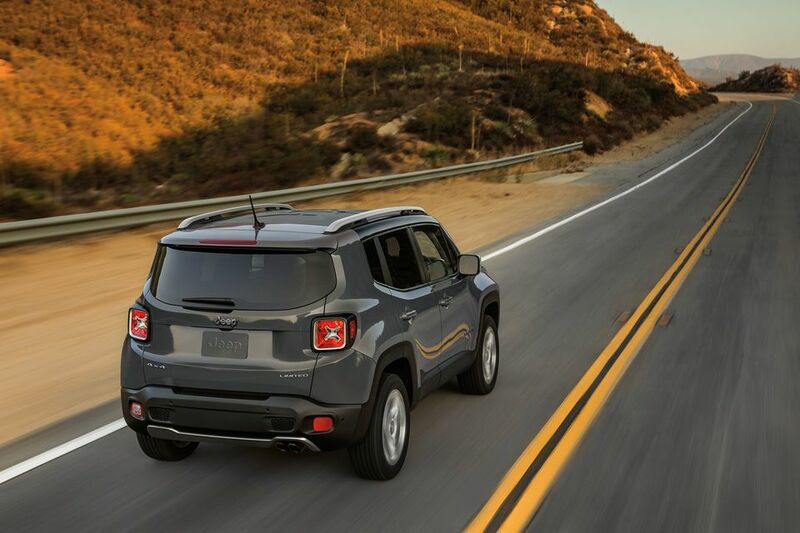 With features like the My Sky Dual Pane Panoramic Sunroof, a wealth of active safety systems, 40/20/40-split rear seats, and even Best-in-Class 1st Row Headroom, the Renegade can easily adapt to any environment it finds itself in. If you want to discover all the Renegade’s capabilities for yourself, visit our Huntsville, Ontario dealership today! We have a huge selection of brand-new Renegade’s in our New Vehicle Inventory, as well as lightly used examples in our Used Vehicle Inventory. No matter whether you choose new or used however, rest assured you’ll drive away in the most capable subcompact SUV created! 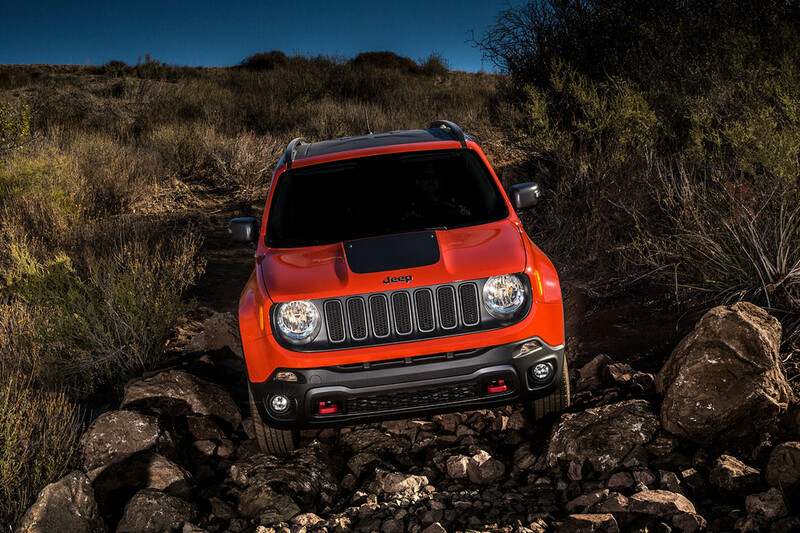 With the 2018 Jeep Renegade you have the choice of two powerful yet efficient engines. The standard 1.4L MultiAir I-4 turbo makes 160hp, 184 lb-ft of torque, and is connected to a six-speed manual transmission. Those wanting for more power will enjoy the 2.4L “Tigershark” I-4 making 180hp, 175 lb-ft of torque, and its 9-speed automatic transmission. The Renegade is also the only SUV in its class capable to towing, thanks to the Trailer Tow Group which allows you to tow up to 2,000lbs. This package includes a Class III receiver hitch and a 4-pin wiring harness so that you can take all your gear with you on your adventures. Keeping connected even while exploring is crucial, which is why the 2018 Jeep Renegade is packed with technology like the Uconnect multimedia centre which includes hands-free communication, Bluetooth streaming audio, and a 5-inch colour touchscreen. Upgraded systems also include Apple CarPlay, Android Auto, and 3D navigation along with SiriusXM radio. There’s even a BeatsAudio Premium Sound System by Dr. Dre with 9 speakers and a 6.5-inch subwoofer so that no matter where you are, the party comes to you! The Renegade also knows that a good adventure has an element of danger about it, which is why there’s advanced safety systems on stand-by to keep you protected. Forward Collision Warning with Active Braking to help mitigate a collision, while Blind-Spot Monitoring keeps an eye out for objects out of your line-of-sight. There’s also Lane Departure Warning to alert you should your Renegade start drifting out of its lane – how’s that for advanced? Whether you’re looking for replacement parts to keep your Renegade running strong, or accessories to increase your Renegade’s potential, you can find it all here at our dealership! Our Accessories page will let you browse all the parts and accessories available for your vehicle. Plus, our Service Department has all the tools and techniques necessary to ensure your additions are installed correctly.